Prior to 2011, the Indian subcontinent held little appeal in my mind. The heat, the crowding, the trash, the pollution – I wasn’t convinced that I wanted to spend 30 hours flying to be miserable. This all changed when my younger sister made the announcement that she would be moving to southern India, Chennai to be exact, for a couple of years. Having my little sister 10,000 miles away for that length of time was a bit difficult to process so I immediately decided I should plan a trip to the land of spices. 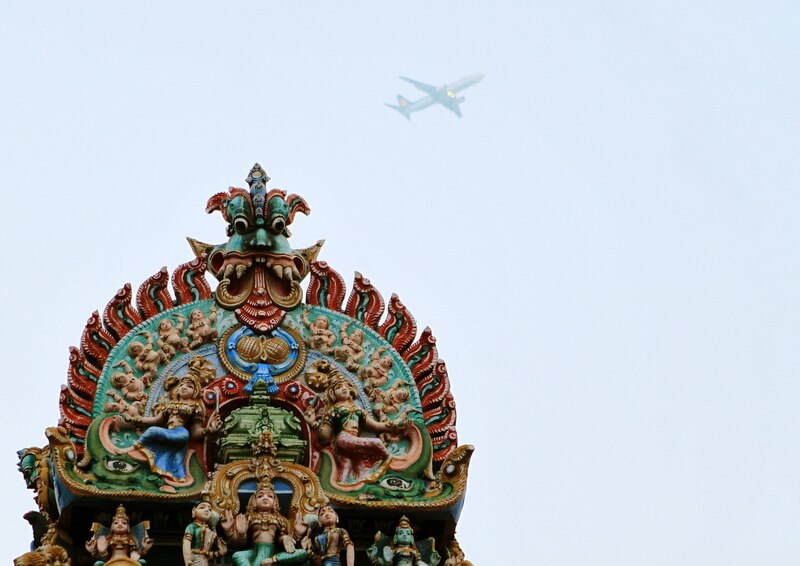 Tickets purchased, passport and visa approved, I would be arriving in Chennai on October 25th of 2012. After 3 weeks in the country, my mind was changed. Though there were some frustrations, I left knowing that I would be back again. The people, architecture, culture and religions were all beautiful – despite my short stay, I left a different person than when I arrived. Never again will I say I’m uninterested in visiting someplace – every destination presents an opportunity to learn and grow. 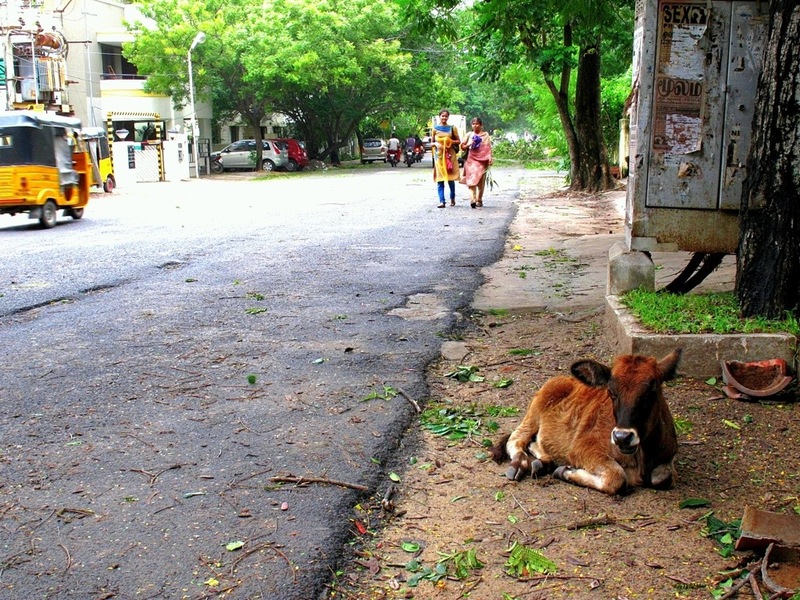 Well, I haven’t been in India a week and I’ve already experienced my first tropical cyclone. Melissa and I were out and about yesterday and decided it was time to hightail it back to her house. The winds were picking up and the sky angry. 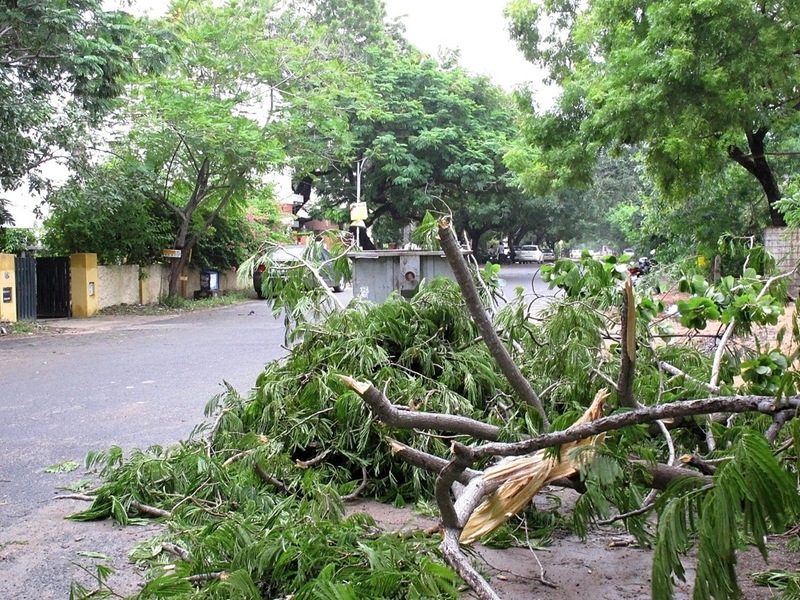 On the auto trip from Alwarpet to Besant Negar, we saw many trees down and streets starting to fill with water. 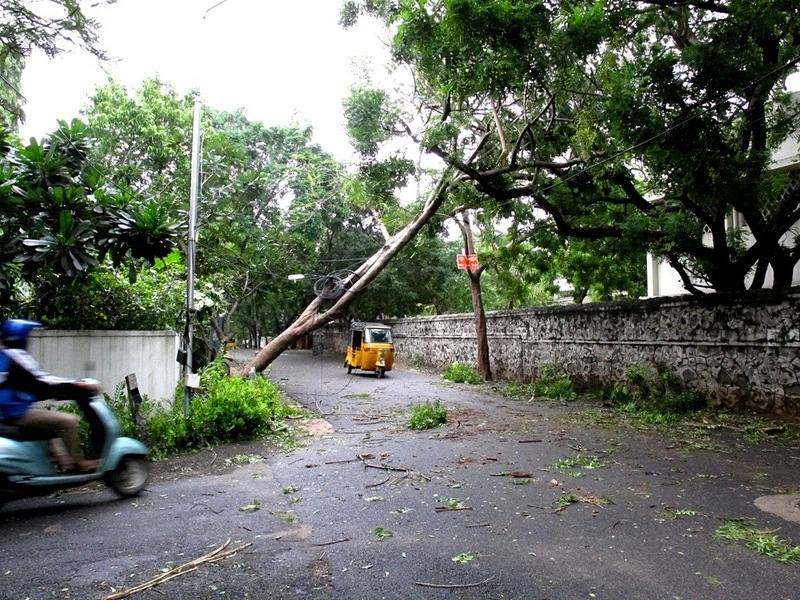 The winds increased in intensity shortly after reaching the house and the power cut. 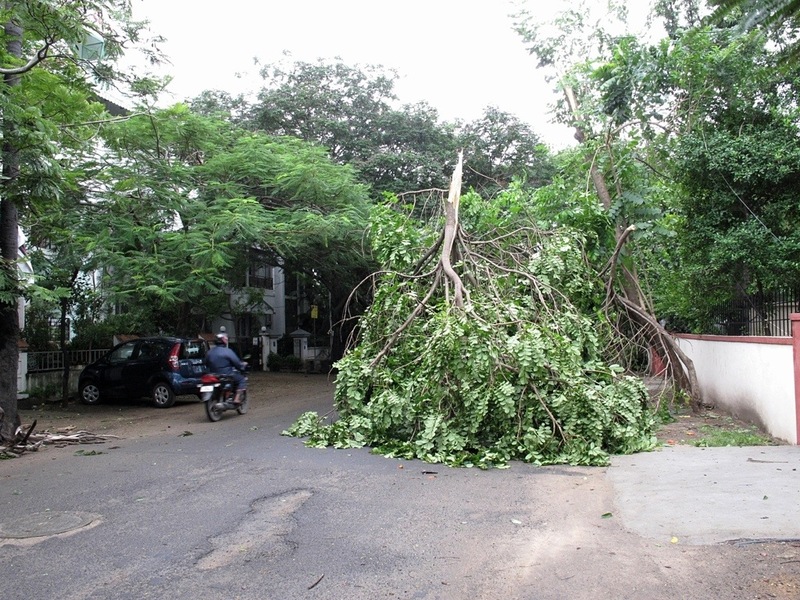 We could hear glass breaking, people yelling and trees cracking as the storm made landfall south of here (near Mahabalipuram). The extent to which the wind bent the coconut trees around the house amazed me, how were they all not snapped in two? This morning, aside from a bit of wind it’s hard to tell a storm went through, we’ll be leaving soon to see the damage to the neighborhood, and check to see if they rescued the large diesel tanker that ran aground at nearby Elliot Beach.